Moving a trailer hitch can be awkward process and can even cause a strain on your back if it cannot be lifted properly. Handling the hitch can also leave a lot of grease and dirt on your hands, which is bit of an inconvenience to say the least. Using a device such as the HitchGrip Hitch Coupling Tool can eliminate those problems. The HitchGrip takes away the hassle and the mess by providing a way to easily attach the hitch, saving you from handling it directly. There are no moving parts, so there is less worry about a key component breaking down at a critical moment. It is very simple to use and understand. 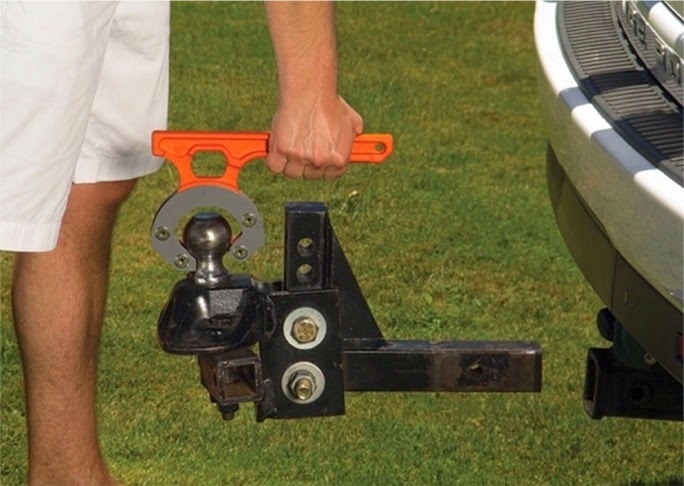 Once the tips grab onto the hitch ball, the HitchGrip can maneuver and lift the trailer hitch. This tool distributes the load evenly, making the process safer for you and easier on your back. It is designed with materials that are made to last and can be used comfortably. Your hands are also kept clean, as you no longer will have to physically touch the hitch. It also makes the task of moving the trailer hitch much faster, leaving you more time to enjoy your RV trip. Using the HitchGrip also works well if you have physical limitations that would prevent you from correctly lifting and attaching your trailer hitch. It is compatible with any Class III, IV and V weight distribution hitches, such as those used for RVs and boats. To further ensure its durability, the HitchGrip comes with a lifetime warranty and is made here in the USA. While cooking on a grill or stove is usually ideal, it is not always a viable option, particularly if you are pressed for time. Using a microwave is most beneficial when you need to heat up food quickly, especially if you are feeding a group. Microwaves are also ideal when the grill or stove is already fully occupied and you want to cook something else at the same time. This microwave oven from Franklin Chef has 0.9 cubic feet of space and offers many features to make preparing food simple and fast. The Franklin Chef FR980B features quick settings for heating up common items such as popcorn, pizzas, beverages, dinner plates and more. Food can be defrosted based on weight or time constraints. The 10 different power levels and multi-stage cooking feature ensures that you can prepare food the way you wish without needing to monitor the process. Cleanup is simple with the "easy clean" surfaces, while the child lock adds peace of mind by making sure young children are not at risk of an accident. This microwave can be used for RV as well as home use. It comes with a trim kit to present a finished look. Microwaves such as the Franklin Chef FR980B not only heat-up items for immediate consumption, but are also ideal for quickly softening foods like butter, ice cream or baking chocolate. Also keep in mind that certain foods should be stirred periodically to make sure the heat is being evenly distributed. 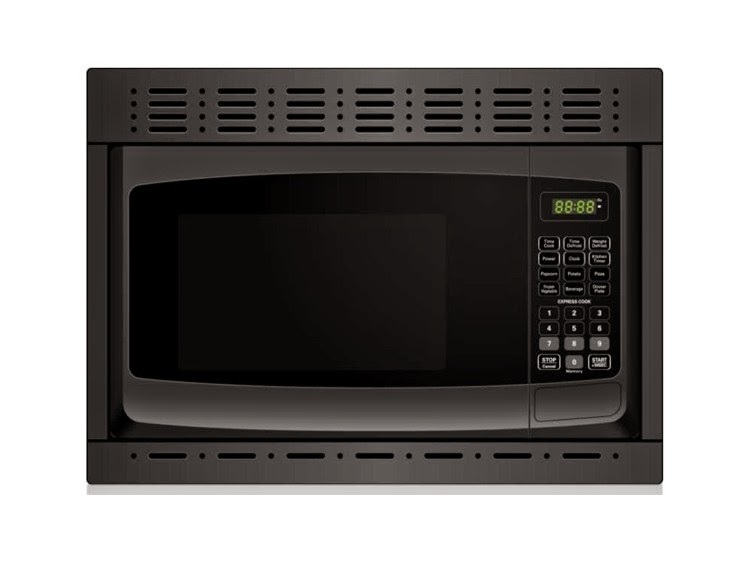 This Franklin Chef microwave will allow you to spend less time cooking and more time enjoying your meal. With Labor Day weekend coming up in a few weeks and school starting soon, the busy summer camping season may be winding down for you. After a period of more frequent use, or even just after a family trip, your RV's interior may need sprucing up. There are a number of products available that can assist you in making your RV's interior look and feel like new. If there are odors in the air that you want to get rid of, items such as 3X Chemistry Refresh is made to improve air quality. Unlike an air freshener that simply covers up odors, Refresh is able to neutralize smells in the air. All you need to do is set the open container in an area such as a bathroom, or under a sink and the activated charcoal Refresh gel will be able to take care of odors for up to 30 days. 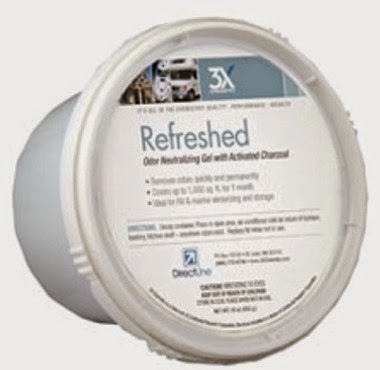 In an enclosed space, Refresh can last up to 3 months. The interior windows can be prone to whatever dirt and dust get inside the RV, as well as fingerprints. 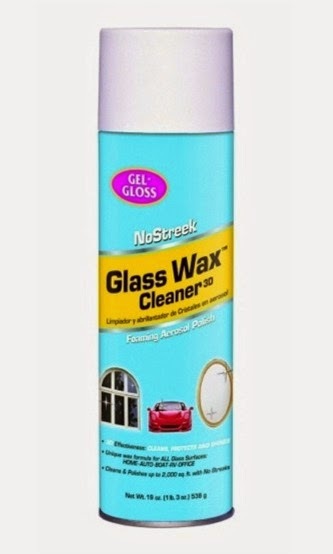 Gel-Gloss No Streek Glass Cleaner works not only for windows, but for several types of hard surfaces such as chrome, mirrors and metal. It comes in a convenient spray can, so it is easier to use. Just simply spray No Streek on the surface and wipe it off. It is able to remove substance build up, and creates a protective barrier to prevent future issues such as water spots. 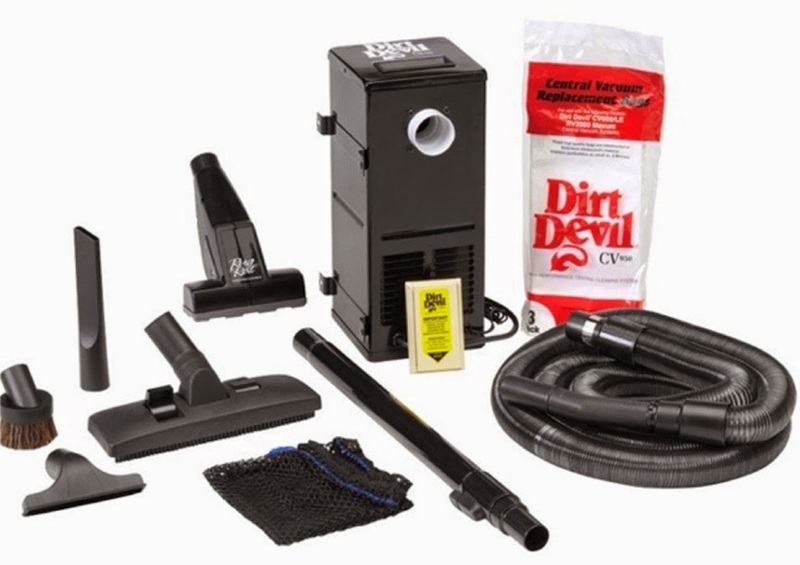 For your carpets, the Dirt Devil CV1500 Central Vacuum System is able to remove almost any particles that may be lurking. This is especially useful to those with allergies, as it works on mold, pet dander, pollen and other allergens. The CV1500 can be used not only on carpets, but also window treatments and upholstered furniture. It comes with all the accessories needed to clean any space. Whatever the Dirt Devil picks up is sent to a remote unit, so there is less worry about the dust and dirt re-entering the area. These products are but a few examples of ways to clean your RV's interior, whether you wish get rid of dirt or simply maintain a clean appearance. RVUpgrades offers other Interior Cleaners such as all surface cleaners, mold and mildew removers, as well as bathroom and kitchen cleaners. Having an easily accessible spare tire with you definitely adds to your peace of mind. You never know when you may need it, so it is always best to be prepared. You also certainly don't want the spare tire to take up valuable storage space. The Ultra Fab Universal Tire Carrier is the answer for having that spare tire with you in a time of need. Built with high quality, heavy-gauge steel and featuring a welded construction, this universal tire carrier is a unit you can count on. 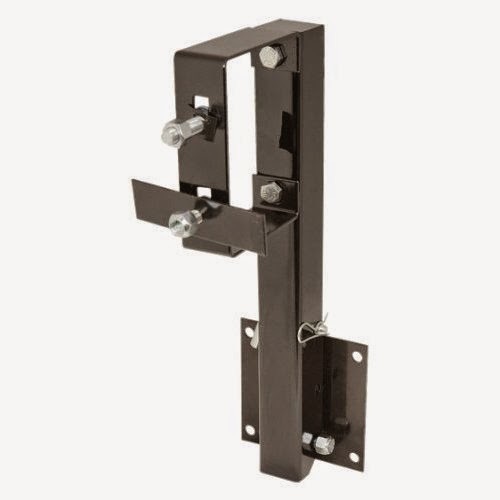 Fits a 4″ square, or “C”-style bumper utilizing 4 bolts for easy mounting or removal. During travel, the tire carrier can be kept in an upright position. The folding option allows you to swing the spare tire out of the way for access to storage compartments that may be behind it. Each universal tire carrier comes fully assembled and features a black powder coated finish for long life and a rust free appearance. The tire carrier does not take long to mount, and includes the hardware needed to install. The Ultra-Fab Universal Tire Carrier will hold most 5, 6 and 8 lug Kelsey Hayes and Fayette type travel trailer tires. It comes with a lifetime warranty, so you can be confident in the carrier's durability and performance. The Ultra Fab Tire Carrier provides you with a convenient place to mount your spare tire, without sacrificing access to any storage areas. If the unexpected happens, you can be more prepared to handle it. The less time spent on configuring electronic devices the better, especially while you are on a road trip. Using the Winegard Pathway X1 will save you time and effort when setting up. Not only is it the smallest portable antenna available, it also is completely automatic. The Pathway X1 works entirely with DISH to provide you with both standard and HD channels. The compact size will ensure that it takes up the least amount of space possible. It is lightweight, weighing only 10 pounds, so the Pathway X1 can be easily taken almost anywhere. The set-up of the Pathway X1 is very straightforward. Once the connections are made, all you need to do is choose your state and the nearby satellite is found automatically. It is very quick at locating satellites, so it can easily switch between satellites when needed. For added convenience, the antenna will work not only with existing DISH subscriptions, but also with the DISH pay-as-you-go program. It can accommodate up to two receivers, so two separate TVs can be hooked up to the same device. 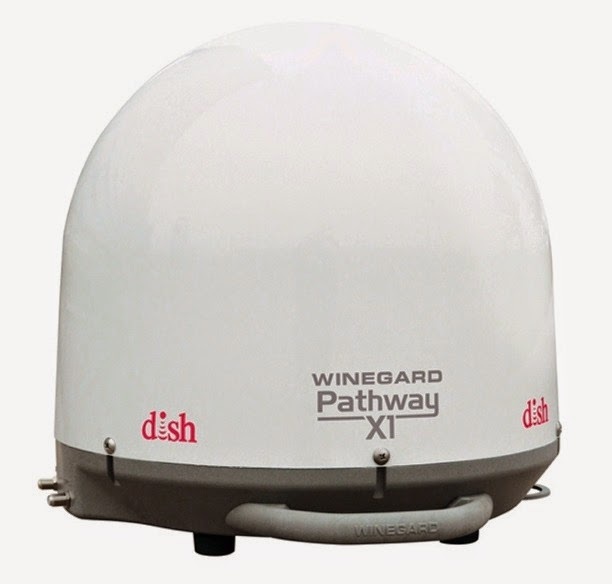 The Winegard Pathway X1 also features an eyelet on the base, so the antenna can be locked down, reducing the risk of theft. It is also possible to mount the antenna to the roof of your RV in the event that you want a more permanent fixture. It works not only for RV trips, but is also perfect for tailgate parties. It comes with a 2 parts and 1 year labor warranty, and is made here in the USA.